Our elite Olympic bars are designed for commercial use in European and American markets. Used by world-class athletes around the globe! Whether you are professional athlete or strength training enthusiast, you will find a barbell to suit your needs. 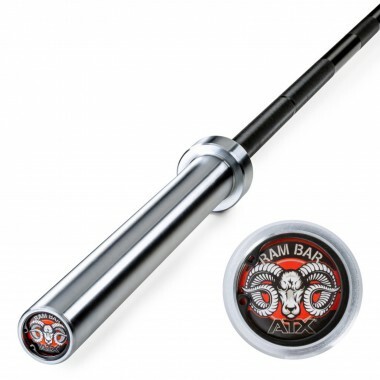 Traditionally a barbell of this quality was out of the reach of the average home trainer, or the gym owner on the budget, however, this range is priced very aggressively allowing you to get your hands on some genuine high end gym equipment. 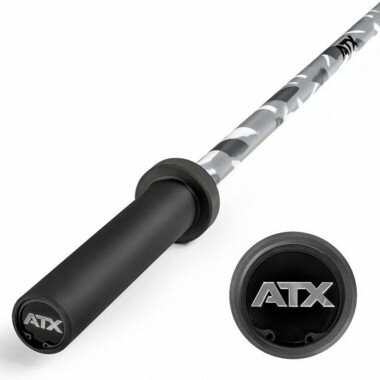 Camouflage is supposed to help you blend into your surroundings, which is quite the contrary for the ATX Camo Power Bar! European Power Bar made with 206,000psi spring steel. 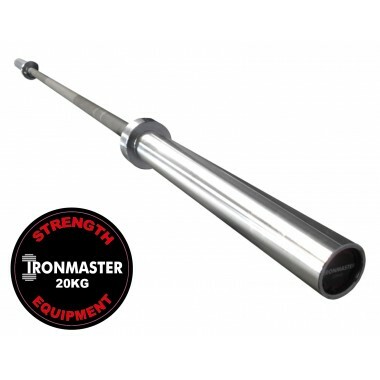 With centre knurling and IPF markings, it is built for the serious powerlifter and strongman. 200cm long with medium knurling and 25mm diameter. 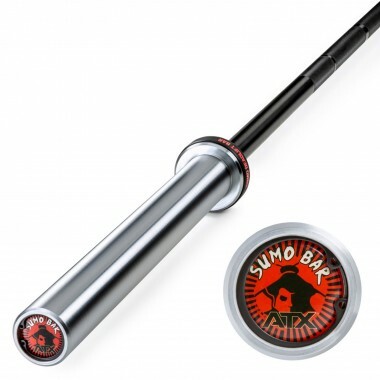 High Quality bar made from Spring Steel with a 206,000 PSI. 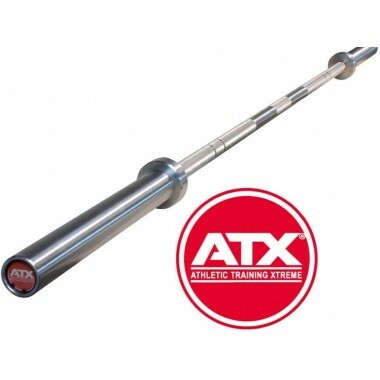 ATX Barbells are build to last, they are heavy duty with IPF specifications. The ATX Power Bar has the hardened chrome finish, for those who prefer this to the oxide finish. 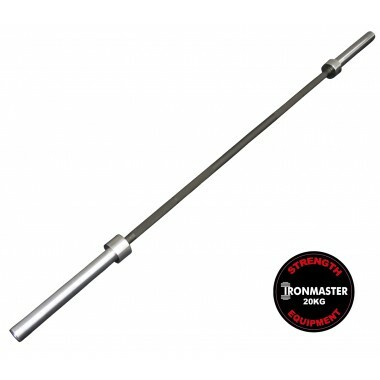 The Ironmaster Olympic Barbell is great value and shares many features with much more expensive.. Please note: ATX Barbells have been tested in an independent German laboratory and are certified for commercial use. There are a lot of technicalities involved in lifting heavy weight. Knurling is there to assist you. The smaller and deeper the diamonds in the knurling, the more aggressive the grip. Ideally you would choose a barbell with an aggressive knurling if you are performing either explosive or power lifts. If you are not planning on lifting hundreds of kilos of weights and/or don’t find aggressive knurling comfortable (e.g., it does dig into your bands), opt for barbells with medium knurling. Centre Knurl or no Centre Knurl? Squatting is a core exercise of almost all strength related sports! Unless of course, you are competing in bench press only events or training strictly for night clubs. The function of the centre knurling in squats is to keep the barbell in the same position throughout the whole movement. Centre knurl will also aid you in setting up for squats. 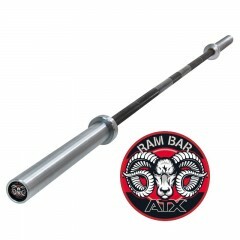 It is far easier to place the barbell in the perfect position when you can feel or see the middle part of the barbell. These barbells are popular between powerlifters or people who prefer low bar squats. Different sports utilize different features of the barbells, while powerlifters love the centre knurling, weightlifters and CrossFitters shy away from them. Mostly because the centre knurling can get caught on your t-shirt. Which may affect the momentum of the lift. 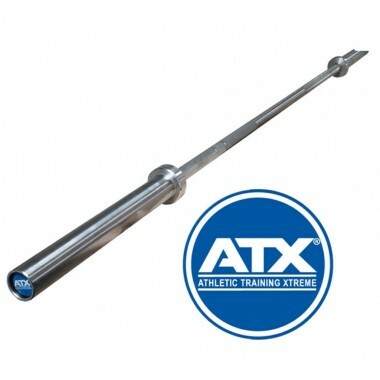 Normally, barbells with single knurl marking will conform to the powerlifting or the IPF standard. The gap between the knurl markings should be 81cm. Although on many cheaper barbells the distance can vary. Weightlifting and CrossFit barbells come with two markings. One IPF and one IWF. The Standard gap between the knurl markings for weightlifting barbells is 91cm. 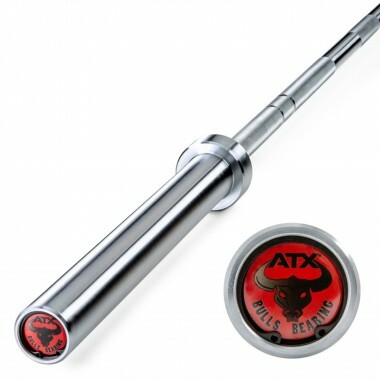 The multiple markings on these barbells mean that they can be used for a variety of sports. Just don’t mix the markings up when you are training! Yes, the size of the range can be confusing, but by working through the different options, you can get the barbell that will best suit you. The combination of different metal blends gives these barbells different traits. One of them would be “whip”. This feature allows the barbell to slightly bend during explosive lifts, making it ideal for use in Olympic weightlifting and CrossFit. Harder composition bars are stiffer. You don’t need much whip when you are squatting or bench pressing. While most deadlift enthusiasts will choose a bar with high whip as it allows them to reduce the range of motion. A cheap barbell can offer a good whip too. The difference between an untested barbell with a made-up tensile strength and load rating, is that it may deform after a while of heavy use. Barbells with a tensile strength of 180 K PSI and under, tend to bend over time, and do not return to their original shape. Our elite power bars have extremely high tensile strength and will remain straight, even after years of use. 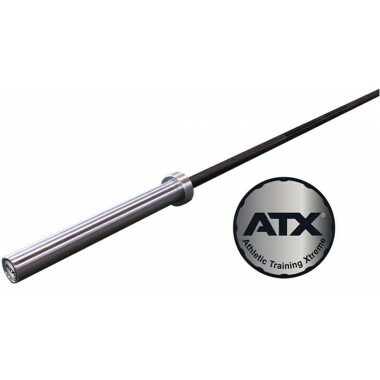 Barbell coating serves an important role in the longevity of the barbell. Black Oxide – pros of this coating is that it is less slippery and gives you a better grip, it is also more cost effective compared to other coatings. Cons: surface rust will occur after a while if the barbell is not maintained regularly. Chrome – Pros: durability and better protection from rust and damage. Cons: it is slightly more slippery compared to black oxide. Cerakote – Pros: looks great and can be matched to gym/school colours. Cons: More expensive manufacturing costs, once chipped the bars are prone to rusting as they don’t have protection. The best way to protect your barbells from rust and increase its longevity is to prevent the bars from chipping and cleaning them regularly. I would recommend using a power rack or a bench press with rubber coated j-hooks and spotter arms. Copper bush –They are perfect for power lifts or general strength training. The main advantage of these bars is low maintenance. Because copper is self-lubricating you don’t need to oil these barbells up. (I would still recommend cleaning them every once in a while). Bush Bearings – Provides a smooth spin, even under heavy loads. This feature helps you to reduce the torque produced by explosive lifts. Making it easier to control the barbell. Even though these barbells were designed for Olympic Weightlifting and CrossFit, they can also be used in everyday training. 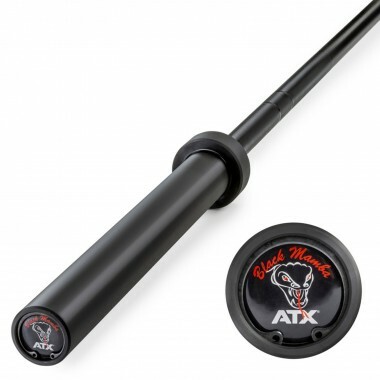 The ATX Barbells burst on the scene around five years ago and have rapidly grown in popularity during that time. 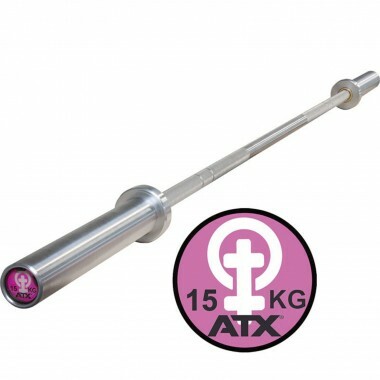 The German engineers have examined the competition and produce a range of barbells that are the same standard or better as many of the world’s leading brands. This alone would be a great feat, but the fact they are significantly cheaper is even more impressive. 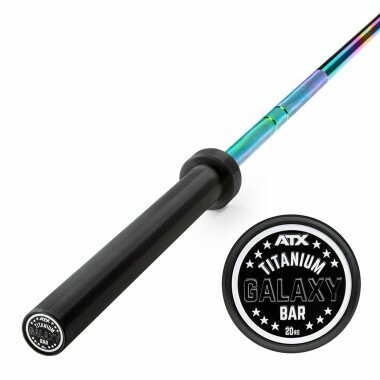 Indigo color spectrum coloured barbell coated with the most durable barbell coating - TItanium. ATX Hybrid Power Bar with Titanium Coating and Chrome Sleeves.